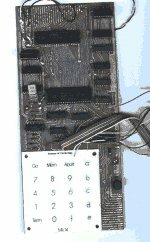 Few now recall it, but the Microcomputer Kit 14 (MK 14) was Sinclair's first computer. It was a significant success, with over 50,000 sold, though this proved modest compared to the enormous sales of the later Sinclair machines. Based on the National Semiconductor SC/MP processor, the MK 14's capabilities were minimal by today's standards - modern digital watches are considerably more powerful! Despite the MK 14's severe limitations, it was one of the most important British computers ever produced. Its success in finding a previously untapped market was not lost on either Sinclair or his employees, notably Chris Curry, soon to break away and establish Acorn. Without the MK 14, there probably would never have been a ZX81, Spectrum, BBC Micro or Archimedes, and the British computer scene would have been very different.